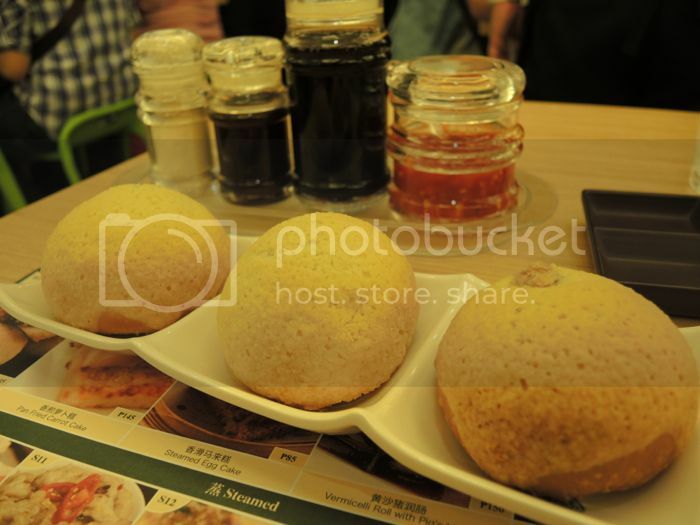 the opening of timhowan in SM's mega fashion mall heralds the arrival of the michelin star in the philippines. a michelin star is awarded to excellent restaurants based on the inspection of anonymous reviewers. no filipino restaurant has ever had the distinction of receiving a citation from the michelin red guide. in fact, it is not known whether these inspectors have come to survey the local restaurant scene, which doesn't seem to be a big deal. among our neighbors, only hong kong can boast of having some of the world's best restaurants, at least where the michelin red guide is concerned. 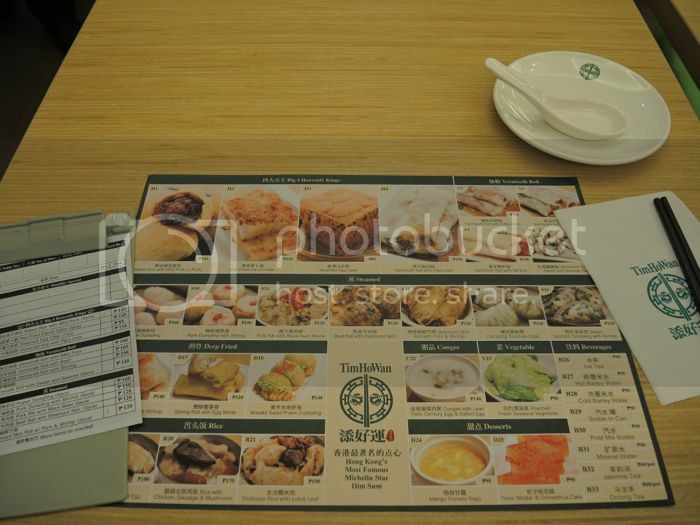 i've previously eaten in timhowan's mongkok branch. i was lucky to be 1) by myself and 2) foreign. as a result, i didn't have to wait in line because the receptionist panicked and basically gave me a vacant seat. i sat with a family who helped me order my dumplings, and even instructed me on how one prepared to eat. my experience in megamall wasn't as lucky. on its first week, i popped by megamall a few minutes before it opened. there were maybe around 30 guys ahead of me, but when i peeked inside, a small queue was already piling in front of the restaurant. apparently, the parking lot underneath opens earlier. now SM has a really strict bag inspection policy, possibly as a direct result of its past experiences with robberies done in broad daylight. i have not been to this mall in a long while but i found the long line terribly inconvenient, and i did not appreciate that the guard rummaged through my bag with the suspicion of an airport customs inspector. he even assessed what was inside a small black pouch which contained my olloclip lenses. 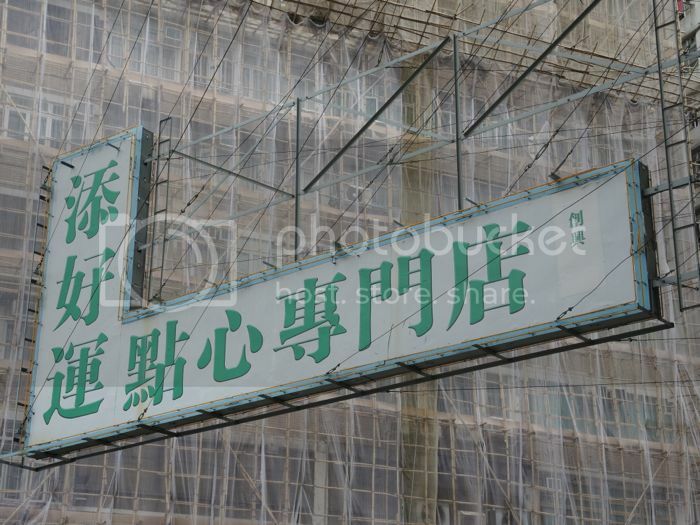 when i finally got through, i was mortified to find out that timhowan would not let anyone in until 12 noon. that meant i had to queue for 2 hours before i could sit inside and place my order. i immediately decided to quit and go home. but others were more patient than i. they staked their place in the queue, and waited for the clock to strike 12. i don't know if there are any technical reasons for that delayed opening. i suspect it's a marketing strategy: to display a long, snaking line, so that people, whether or not they are aware that timhowan is the world's cheapest, and hong kong's most popular michelin-starred restaurant, would take notice, get curious, come to the hasty conclusion that it's probably so good people will fall in line for it, and join the craze. so i returned the next week sufficiently armed. i brought along a book, my iPad, and some distractions to kill those 2 hours without collapsing into boredom. i was maybe 15th on the line, and seats were provided to the first 20 customers. the chinese woman in front of me was on the phone the entire time, giving instructions to what i assume would be her household help about what to feed people and what car to use going to greenhills. behind me was a group of young girls giggling about boys. they would later share my table and i correctly guessed they all went to the international school in manila. 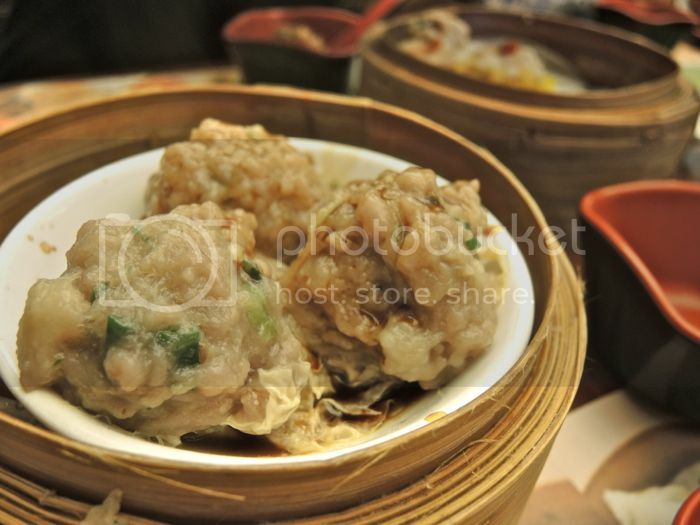 now i won't write a review about the food in timhowan -- so many others have done that. 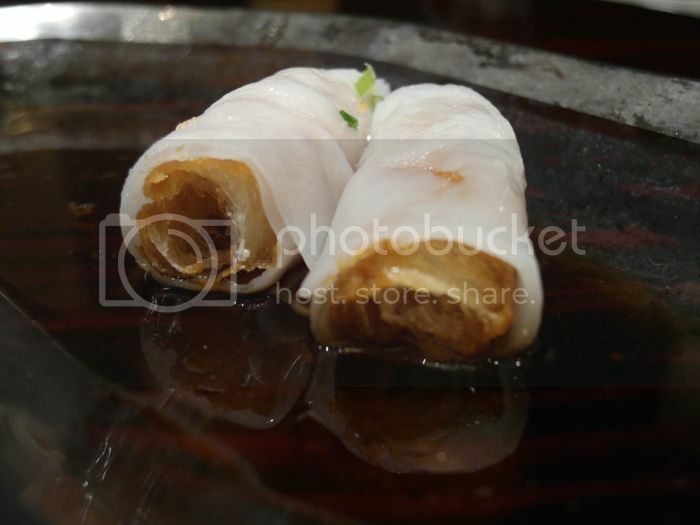 i would just like to say that its chefs were not imported from hong kong. they're from singapore, and are here only for a few weeks, until the filipino chefs pick up the skills. 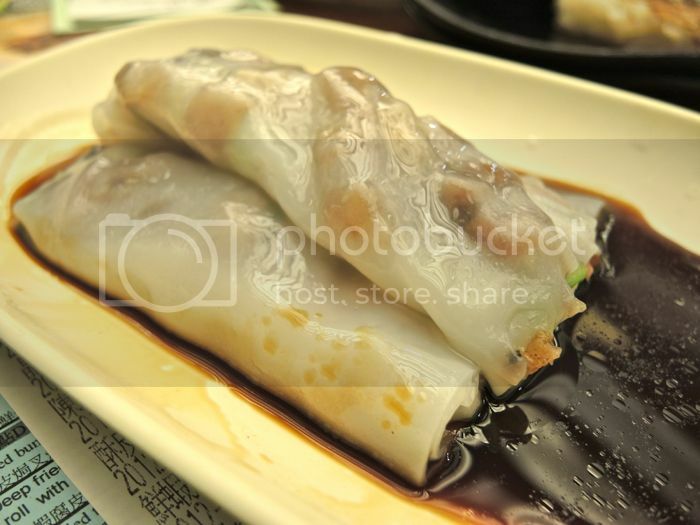 that's unfortunate because i felt that when they brought wee nam kee over here, it didn't taste authentic, lacked a certain character and texture that was present in the famous hainanese chicken rice chain in the city state. while i wonder about what may be lost when the chinese chefs leave, already i notice that much was lost in translating hong kong staples in the philippines using singapore-based chinese cooks: a lot. 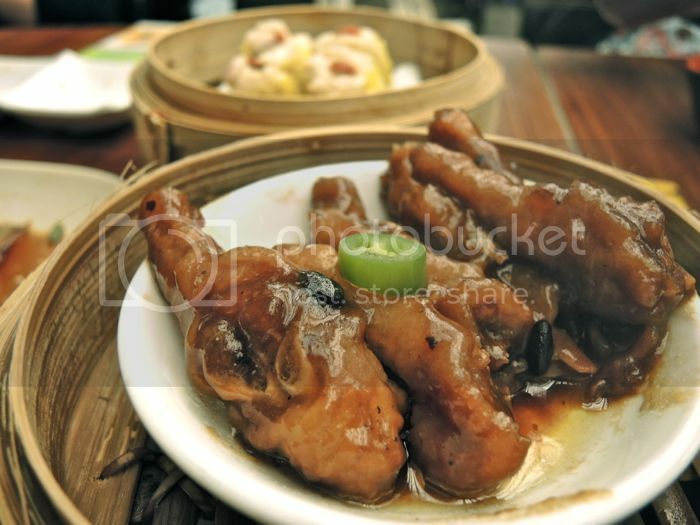 first, the experience of eating in hong kong was so exotic to me that it really tripled my amusement and amazement. the hong kong family instructed me not to sip that cup of piping hot tea, but to use it to disinfect my chopsticks, plate, and glass. in megamall, the tea isn't free. also, the food is slightly more expensive, though still massively cheap only if you consider the michelin star. also, our servers here are very cheerful, unlike the ones in hong kong who never smiled and were strictly business. i'm not sure if the newer branches of timhowan in hong kong is just as nicely decorated, but the one i ate in felt really casual. megamall's branch has nice steamer baskets fashioned into lights and wall art. finally, while my initial timhowan experience happened in october 2012, i seem to recall enjoying more of the food than i did last saturday. the baked pork buns are delightful, probably worth lining up for 2 hours (i heard that the waiting times are shorter during the week), but there's a policy that a person can only place a maximum of 1 order (that's 3 mouth-watering buns). the waiter also told me that they can't accept take outs yet. but if you don't finish your food, they'd happily pack it for you, and i explained to him that basically makes their policy futile since i could order more than i could eat. 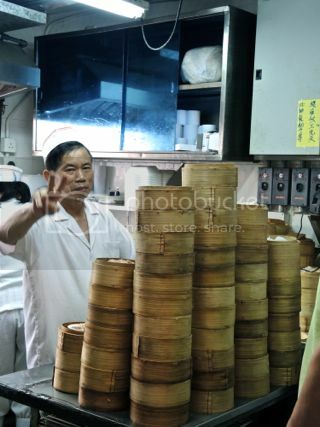 finally, one doesn't have to queue for 2 hours to get really good dimsum. 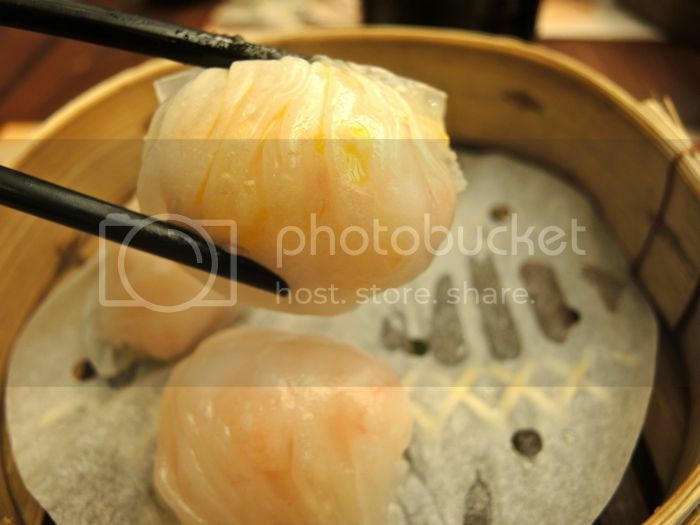 i would go on record and say that i've had equally good steamed dumplings in lili and xin tian di. a friend says lugang is also excellent, but i can't vouch for that yet. nevertheless, i stuffed myself silly and only racked up a bill of over php 700. still cheaper than in those 2 restaurants i've mentioned. so i leave it to you whether you find the idea of waiting for anywhere between half an hour to 2 hours worthwhile to find out what the fuss is all about. you may even decide if that michelin star is well deserved, and make your conclusions about filipinos and their penchant for everything new and novel. the lines will hopefully not be that long in the future. 2 more branches are scheduled to open in glorietta 3 and mall of asia. i will probably not come back to megamall after i rolled my eyes so many times at the bag inspection, at least not for timhowan. i've eaten in their flagship store, besides. but then again, ippudo ramen will open 2 floors up, so yes, i might have to endure those bag inspectors again, soon.